The ‘what’, the next step, is to begin storing ingredients. Stocking up on wheat, sugar, salt, rice, spices, and other basic ingredients allow us to combine them to make hundreds of different dishes. This step requires a bit more of an investment since a bucket of wheat will cost much more than a loaf of bread or two, but when you figure all that wheat will make dozens of loaves and can last for decades, it’s obvious that the wheat, not the store-bought bread, is the true bargain. Ideally, your food storage will consist of three layers. Grocery store food. Generally easy to prepare, which could be important in emergencies. Open a can, heat up the contents (or not), and dinner is served! The downside is that these foods are usually not packaged for long-term storage and often contain excessive salt, high fructose corn syrup, and other additives. Ingredients purchased in bulk. Yes, putting these to use will require learning how to cook everything from scratch, but you’ll end up with healthier, less expensive meals in the long run. Freeze-dried foods. Freeze-dried entrees, such as spaghetti with meat sauce or chicken teriyaki, require only the addition of boiling water. Because they’re so lightweight and easy to prepare, they’re ideal to stock for emergency evacuations and power outages. A variety of freeze-dried fruits and veggies are handy for everyday cooking but especially to insure your family has a supply of produce, long-term. Check out Kellene Bishop’s review of freeze-dried foods by different manufacturers here. Food prices are increasing and some economists are predicting even higher prices. We have a terrific window of time right now to stock up, stock up, stock up at reasonable prices. 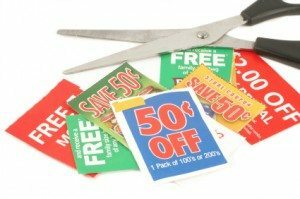 Check out online coupon sites such as Coupon Carousel.